> Great Car Reg Plate! I was walking in Balham London, just dropped off a delivery order of HayfeGUARD Local Honey to As Nature Intended when my eye caught this car registration plate. I stopped dead and grabbed my mobile to take a photo. The driver looked worried as I did this. 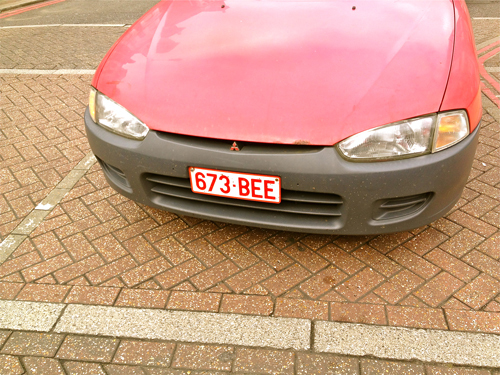 I popped over and told him I work for The Hive Honey Shop in Clapham, family run honey shop and loved his licence plate. He smiled broadly and I invited him to drop by for a sample of our local honeys. I was blocking traffic, cars were honking and he smiled again then buzzed away!